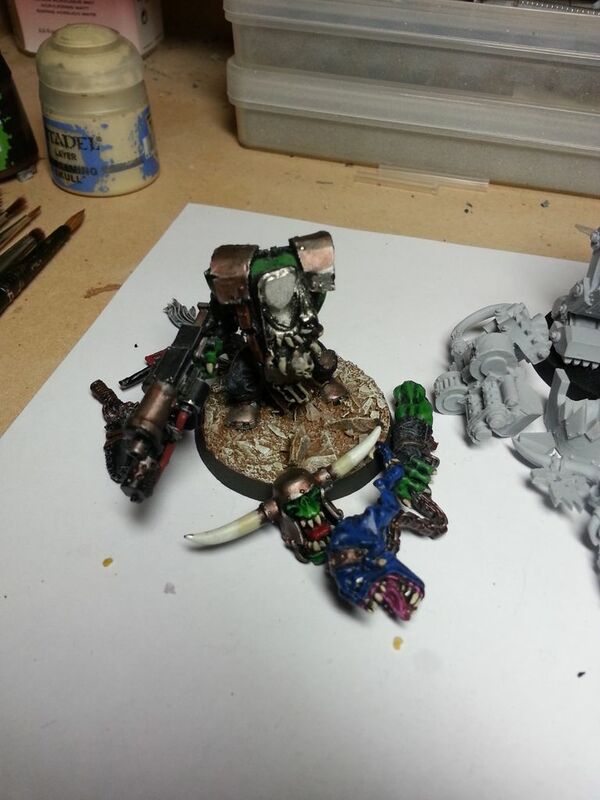 I wrote recently about the work I’ve been doing on my band of Warbosses and in particular my Black Reach Warboss, ‘Das Klaw’, who once again outdid himself to earn the hatred of his foes. 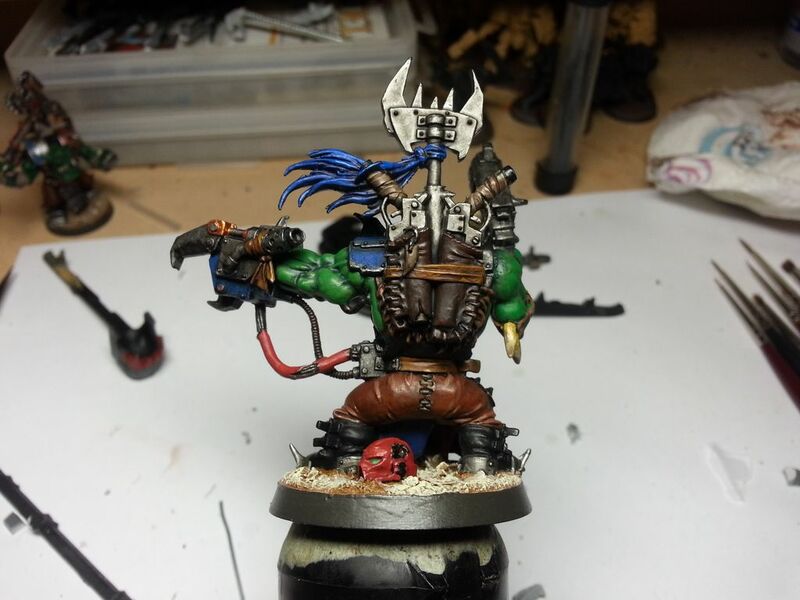 He earned a paintjob worthy of a Boss. Unfortunately, I’ve been very busy with life goings-on the last few months but I did find a little time to get some limited hobby time in, and take a few pictures along the way. here are some pics of my other bosses, who I brushed up a bit, mostly just better skin. 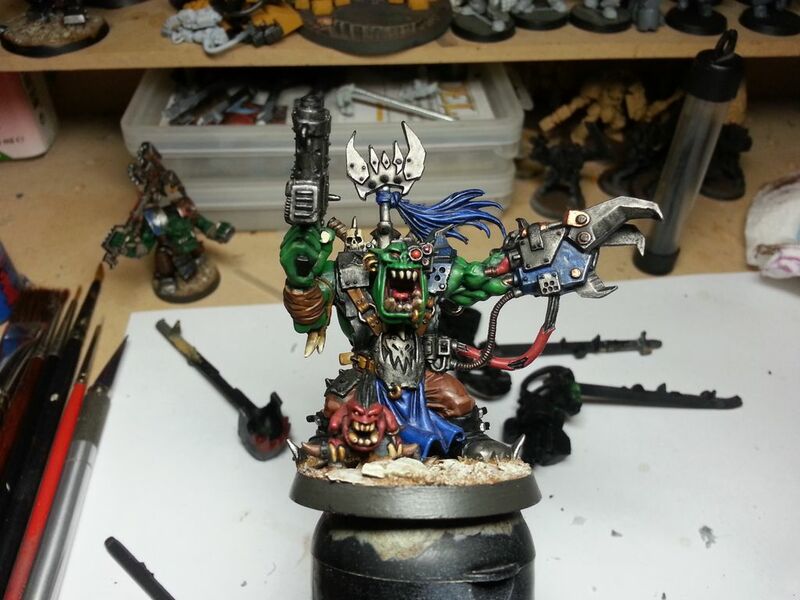 They have a nice green that is still a little darker than my Boyz. 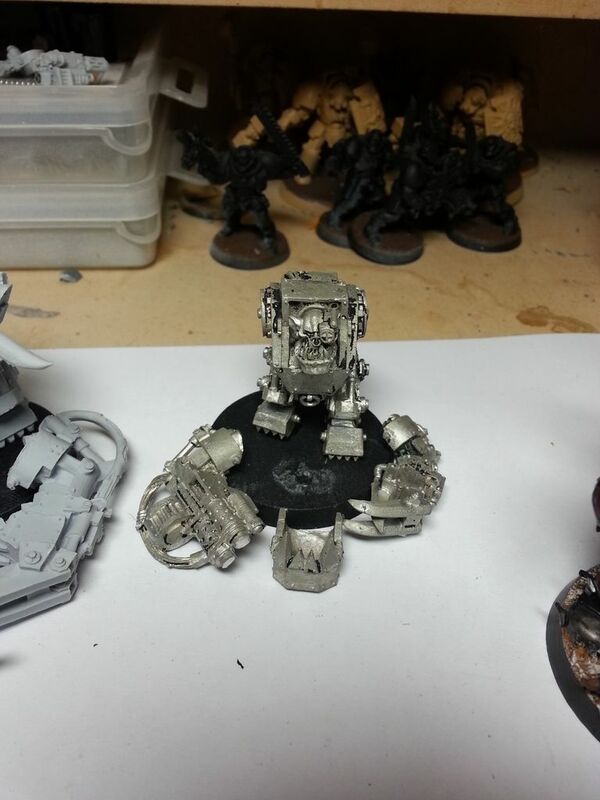 The Meganob ‘Boss’ is an old stand-in for a Mega-armoured Warboss. I’ve always wanted to get some Meganobz but they are one of the few models that I don’t like in Metal. 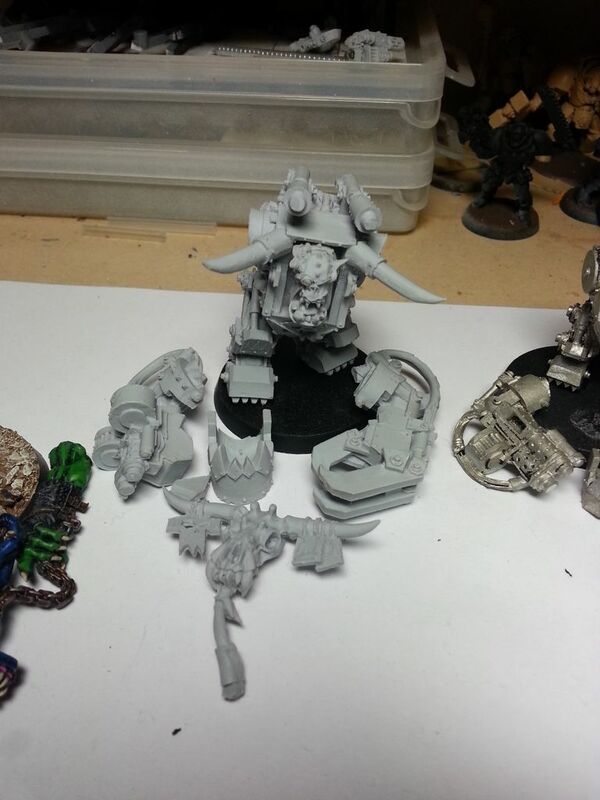 Finecast? 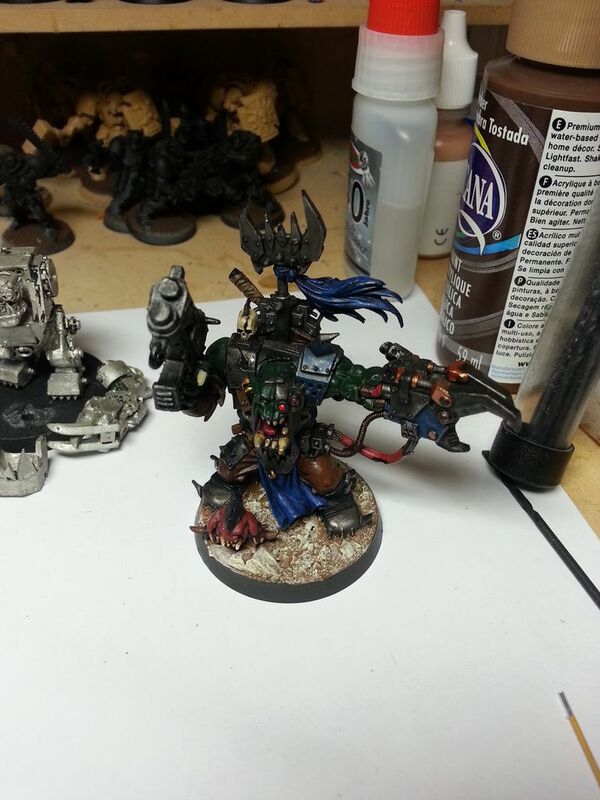 Finecast quality is too hit and miss in my experience for me to invest heavily in it. 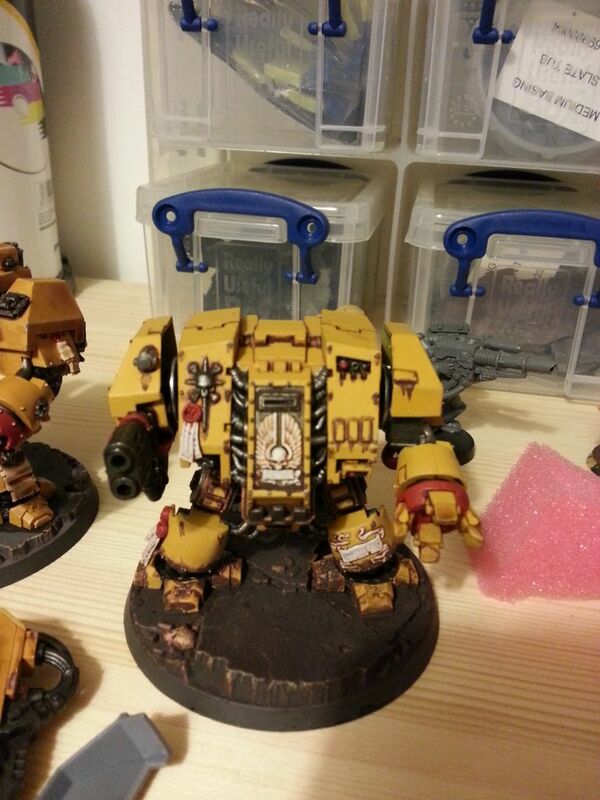 Also, here are a couple of pics of the Dreadnoughts I’ve been working on in their current state. 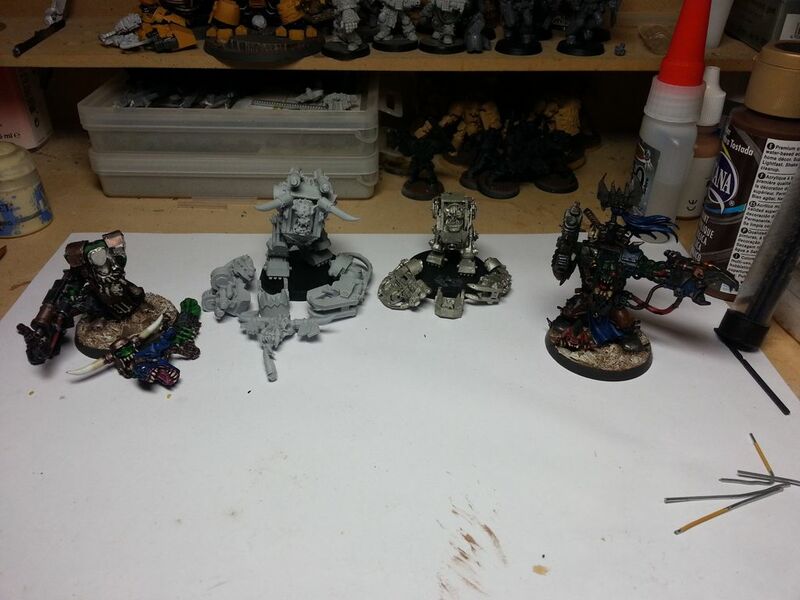 They have come quite a long way, as I have not posted in a while but have tried to keep the hobby going. 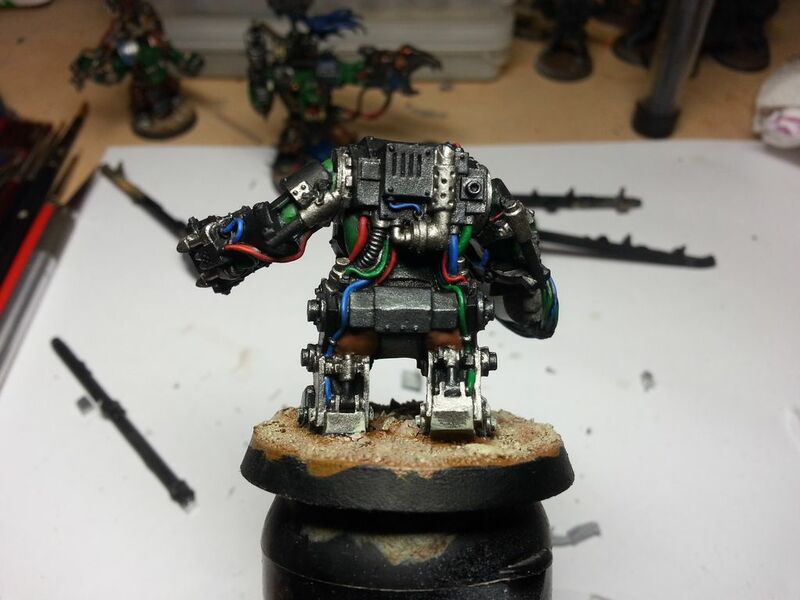 Both models I’ve re-magnetised with a different method that makes them a lot more secure, using 3 magnets and a metal washer I bought from the local hardware store for 7cents a piece. I wish I’d done them this way to start with, it would have saved a lot of drilling and needless gluing. The Black Reach Dreadnought I’ve applied a weathering technique using a cut-up dish sponge, and I am very pleased with it. So much so that I’m going to apply the same technique to the other Dread and my other vehicles.